I just tried review of a new device;Thought i'll share with you guys! 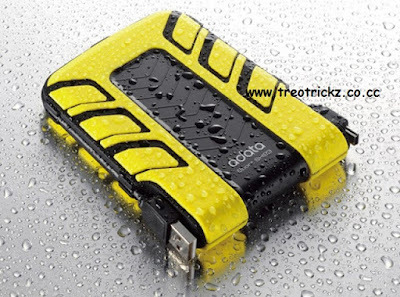 The A-DATA Superior SH93 is a 2.5-inch external hard drive designed to be waterproof (30 minutes at 1 meter) and shockproof to withstand accidental drops. 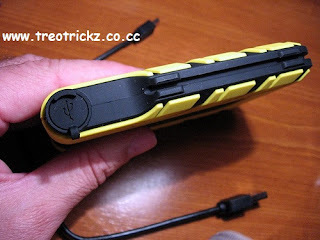 The rugged enclosure has a rubber and plastic shell along with a slit around the drive to conveniently tuck away the USB cable. The drive is available in two aesthetically appealing colors - racing car yellow and chili pepper red, and three capacities - 320 GB, 500 GB and 640 GB. It has slightly above average performance and tests revealed average read and write speeds of 34 MB/s and 32 MB/s respectively with single files. Multiple fi les can be read and written at speeds of 31 MB/s and 30 MB/s respectively. The drive is ideal for students, sports enthusiasts,and adventure seekers who are likely to put it through rigorous use.At price of 4,900INR,It's worth the penny and is cool!